NB: The above price is an estimate only and is subject to change due to exchange fluctuations and availability. Black Eagle Arrows are not kept in stock and are custom ordered; allow 2-3 weeks. 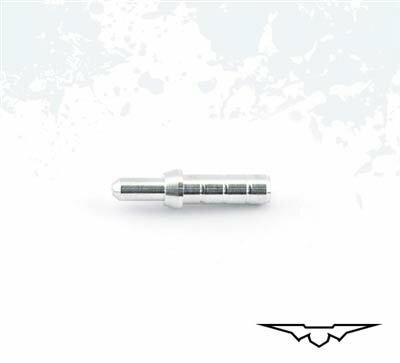 This Pin Bushing is a perfect match for the X-Impact carbon shafts and were designed for use with Pin Nocks.